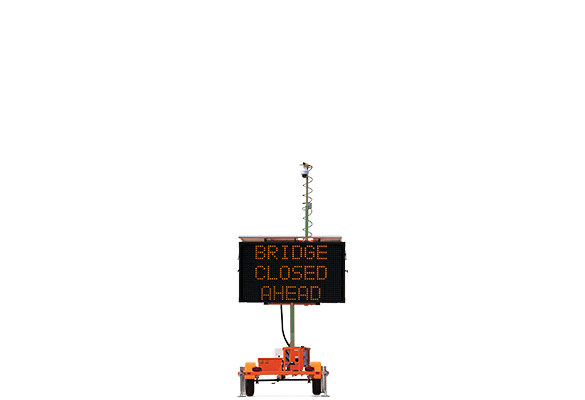 Portable platform for integrators to install equipment as needed. 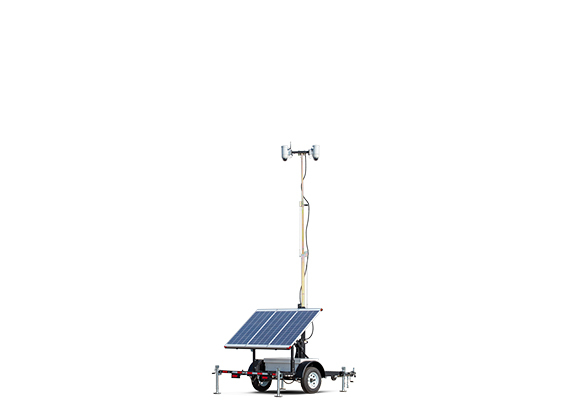 Durable trailer with telescoping 20-foot tower, battery power and solar-based charging system. Compact camera system with solar power features telescoping 20-foot vertical tower, integrated camera and electronics and year-round autonomous operation. 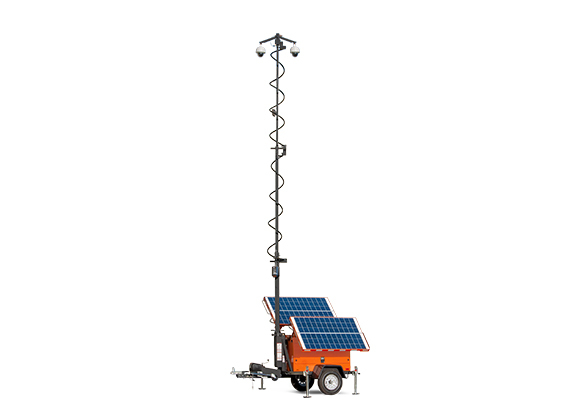 Solar camera system deploys quickly and operates silently. 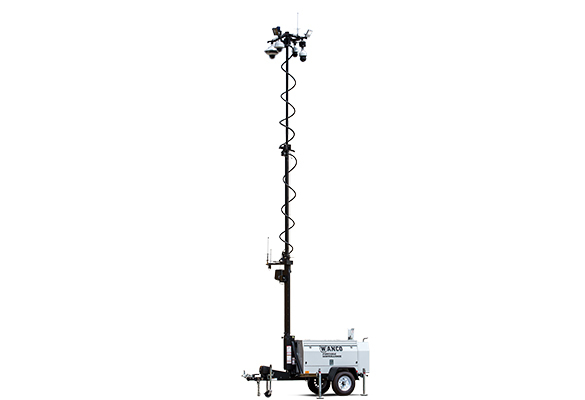 Features telescoping 20-foot vertical tower, choice of PTZ cameras and NVR for onboard recording. 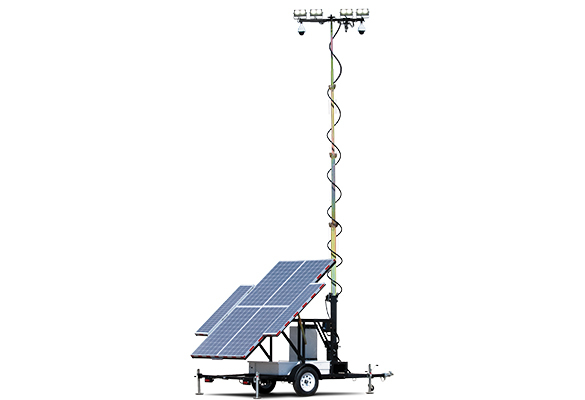 Powerful solar camera and lighting system features telescoping 30-foot vertical tower, choice of PTZ cameras and bright sensor-controlled LED lights. High powered. 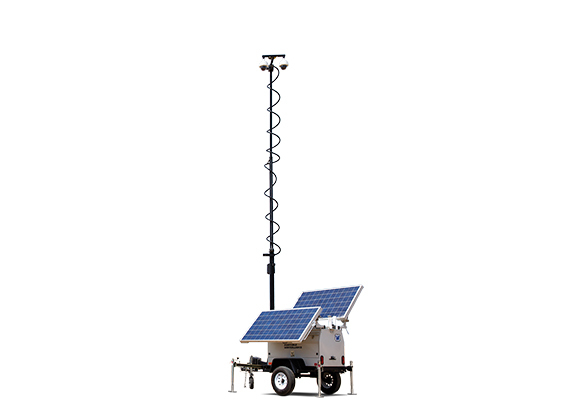 Portable Video Surveillance System provides remote site monitoring in a robust, self-contained unit that is suitable for unprotected long-term deployments. 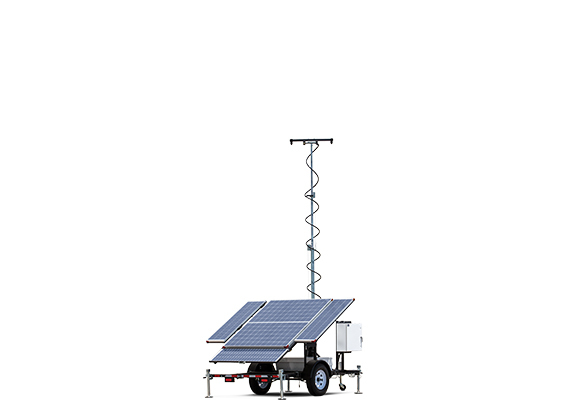 Our flagship Diesel PVS System features an industrial-grade power plant, industry leading tamper resistance, and unmanned operation. Ultra-quiet diesel power. 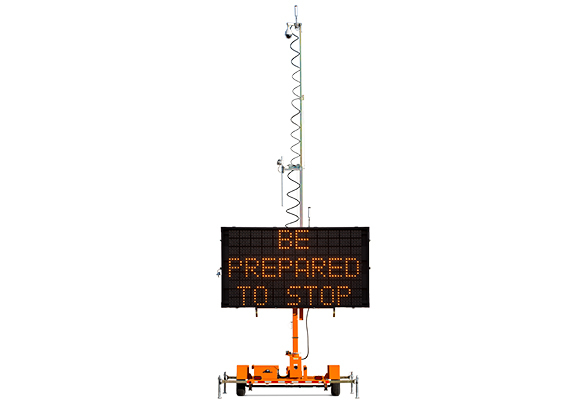 Portable camera system for DOTs deploys roadside for 24/7 monitoring of traffic and road conditions. Video recording, remote monitoring and control.